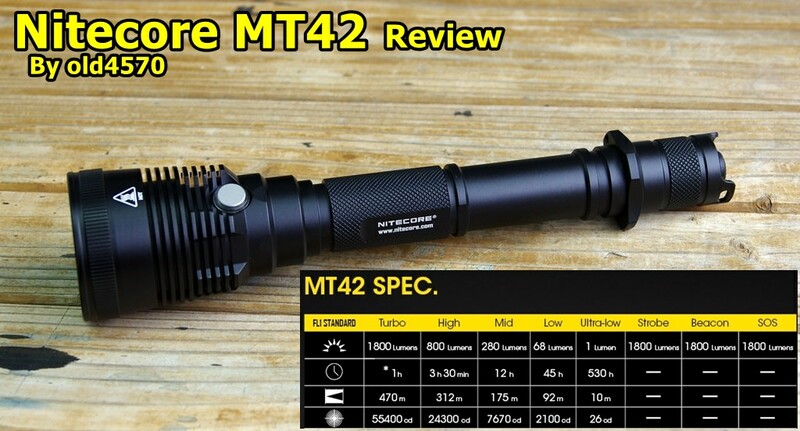 For review I have the new Nitecore MT42 . 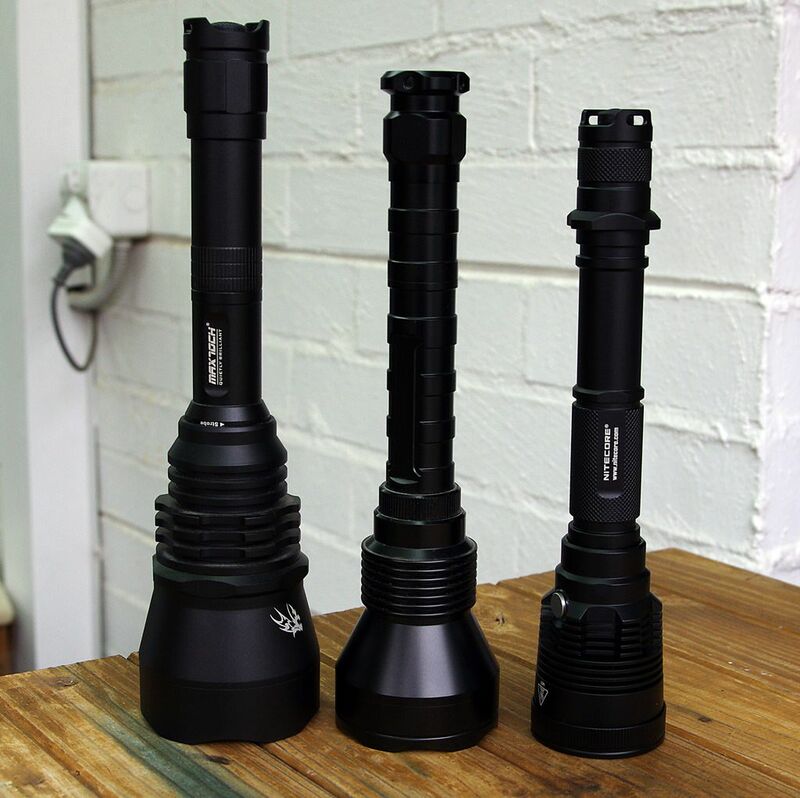 5 light levels as well as 3 hidden modes ( Strobe , SOS , Beacon ) . 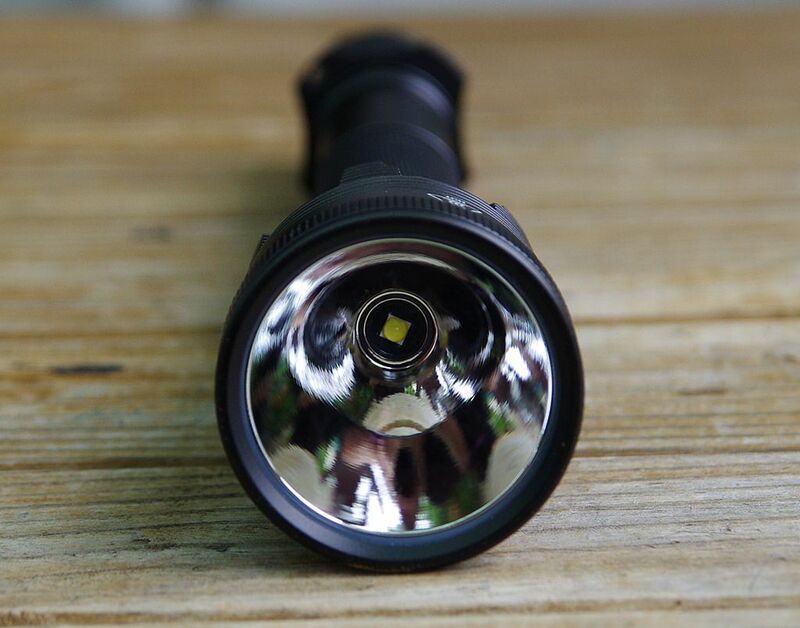 The light is equipped with a forward clicky in the tail and a side switch near the head for changing modes . Both switches are dedicated to their task , side switch only changes modes and the tail switch turns the light on and off . What ever light level you have when you turn the light off , is where you will return when turning the light back on . Funny thing , in the hidden modes - If you turn the light off in STROBE you can turn the light back on in STROBE ( for you Strobists out there ) . In SOS and Beacon modes when you turn the light off , you will return to what ever light level you were at when activating the hidden modes . I have taken the MT42 for a walk and it certainly attracts more attention from passers bye than say a true EDC that almost vanishes in ones hand . I have had some long stares from people driving and walking past me . ( Might be wondering if that's a flashlight in my hand ? ) 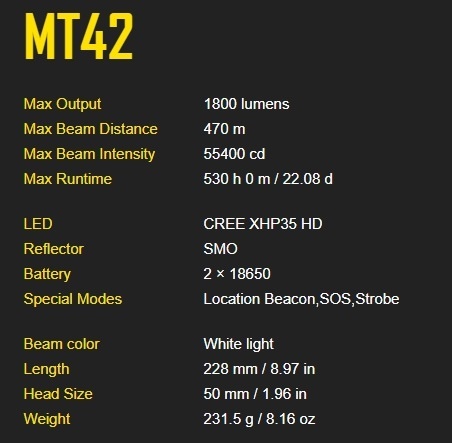 But what the MT42 does extremely well is pump light out . It really THROWS and simply can't help doing otherwise . Even in LOW mode ( 77 Lumens in my light box ) the MT42 pumps out light like a much more powerful light . It really likes to push light forward . I just don't know how to explain it , it throws nut's ! So , Lumens are my light box readings , my Lux readings are @ 1 meter and are the best readings I got at the time under the prevailing conditions . Turbo / 3.66 to 3.7 amp . I am left wondering if the MM is triggering a safety ? by those current readings - Except for Turbo . Side Switch : The side switch performs 2 functions - it changes light levels - and allows access to the hidden flashy modes . Hidden Flashy Modes : ( Strobe > Beacon > SOS ) Turn the light on , what ever light level you are in just give the side switch a quick double click and you will enter Strobe . To change to Beacon mode press AND hold the side switch till the light changes modes . ( You need to press and hold for each time you wish to change to another flashy mode ) . Should you turn off the light in STROBE , the light will turn back on in STROBE ( So just be aware of that ) . SOS and Beacon will not turn back on and the light will revert to what ever light level you were at when activating the flashy modes . Clip - OK ! , I really don't see the clip being used on the MT42 .. 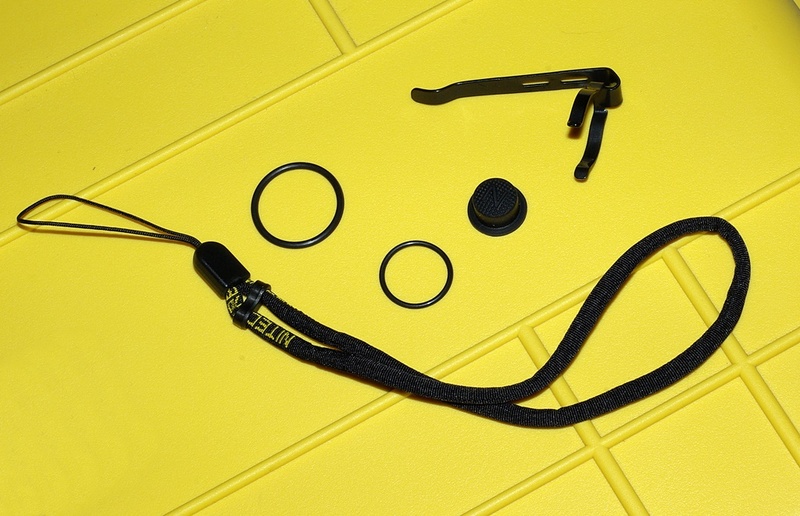 There is a really nice hole in the cigar ring that could be used to attach a Carabiner . Quite simply , I really like the MT42 . I have absolutely nothing to complain about . 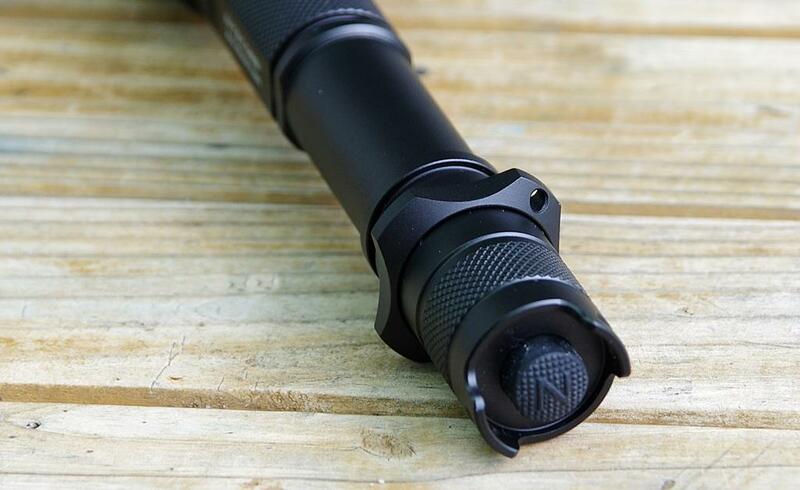 The UI is simply KISS ( Keep it simple silly ) and should appeal to anyone who needs a flashlight for high stress situations . You really don't want to be multitasking under stress , you want something that is as easy as click and go and the MT42 meets that requirement with perfection . 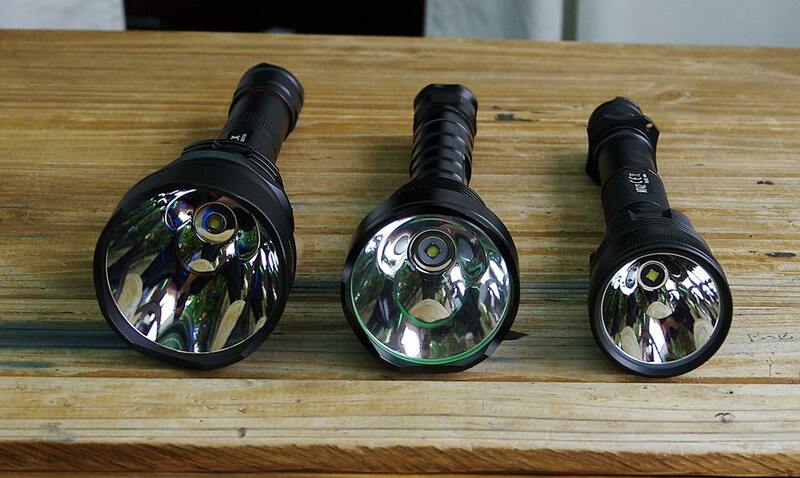 5 Light levels give you plenty of options for the amount of light you might need . And the MT42 really does push light out the front I have to tell you . 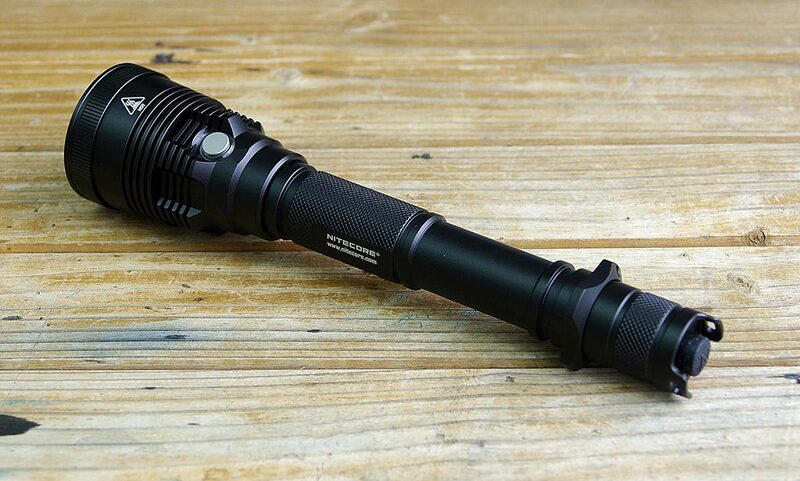 1800+ Lumens on Turbo allows the MT42 to really impress . I walked past a local park a few nights ago and the MT42 just blew me away with how well it performed . It just lit up everything in front of me with the greatest of ease ( 1800+ Lumens kind of does that ) . I am impressed , and with no points to deduct the only score I can give the MT42 is 10 out of 10 . My apologies , the camera does not do the flashlight justice . I will be doing another video and hopefully have better beams by then .